South Korea’s native-English-speaking hakwon (South Korea’s version of a private language school) instructor population is college-educated, well paid, and yet suffers from a lack of empowerment via a representative organization of its own creation. Of the attempts made by instructors to form such an NGO to advocate on their behalf the Association of Teachers of English in Korea (ATEK) stands out as perhaps the most ambitious, in spite of its rather short tenure and eventual collapse. Typical explanations given for that collapse can be divided among those internal, such as in fighting, and external, such as online harassment, but this paper seeks to show that such explanations remain insufficient. 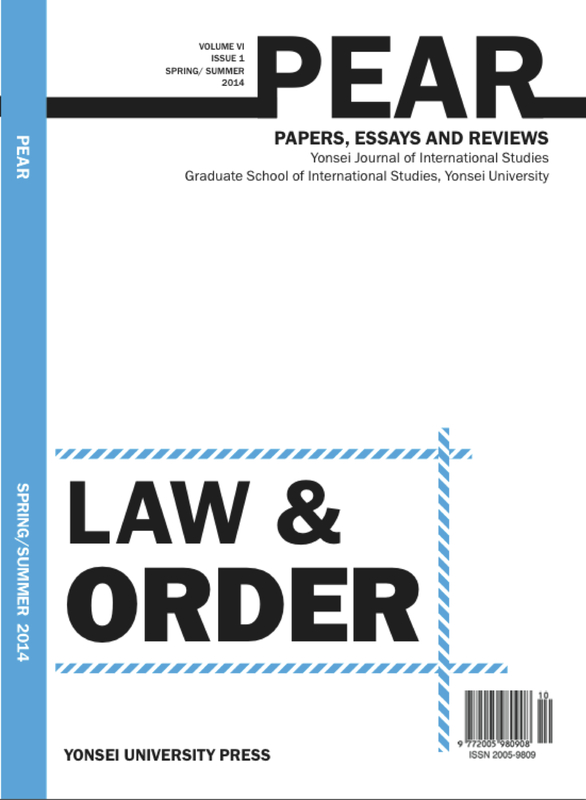 Using material obtained through interviews with former members, along with information gleaned from various online sources, this paper argues that a lack of official recognition of the organization by the South Korean government can be seen as the proverbial straw that broke the back of ATEK. Further, application of theoretical material presented in Bringing Transnational Relations Back in: Introduction by Thomas Risse-Kappen, regarding the way in which domestic governmental structure can either allow transnational actors access to that structure or not, will show that domestic actors such as ATEK are subject to the same sort of institutional discrimination. It is the author’s hope that the examination of ATEK’s collapse presented in this paper will constitute a useful framework to guide upstart instructor NGOs of the future, so that similar problems can be successfully avoided. A cursory look at Asia Pacific regionalism will leave any observer bemused. Why have competing paradigms continually developed in the region? How can such diverse states cooperate? The following paper will answer the following: why do the Trans Pacific Partnership (TPP) and the Regional Comprehensive Economic Partnership (RCEP) exist as competing paradigms in the Asia Pacific. It will propose that classical theories of International Relations cannot adequately answer how or why competing paradigms exist in the Asia Pacific. Instead they can only explain partial truths about their existence. Political theory has largely led to a stagnation of enlightening scholarship. Too often diametric debates are held with limited enlightening ideas being created. All too often debates on the TPP and the RCEP are framed in realist and liberal terms. Constructivism is also inadequate in explaining this phenomenon. Self-conscious norm creation preferred by such a theory seems rather superfluous in reality. Identity is no doubt important but the way constructivism proposes a creation of norms through deliberate process appears unfounded and superficial. Instead we must turn to sociology for an answer. I propose that if we go along the practice turn path we can further understand why regionalism is bifurcated in the Asia Pacific. Through a Bourdieuian exploration of the TPP and the RCEP it appears that divergent habitus is causing complementary regional building initiatives in the region. This article explores the controversial “lost chance theory” that CCP leader Mao Zedong genuinely wished to build a working relationship with the Roosevelt and Truman administrations, but was rebuffed by short-sighted decision makers in Washington who passed on the opportunity to cooperate with China’s future ruler. The authors note key historiographical developments and explain the major arguments both for and against the lost chance theory before advancing a post-revisionist position that its opponents have in recent years inadvertently created the false impression that there was never any real possibility that Washington and the CCP might have built a positive working relationship during the war years, while the window for CCP-US cooperation was far more ephemeral than lost chancers understood. This paper argues that Mao’s wartime expressions of his desire to work with the United States were indeed sincere through to the end of 1944, however by the spring of 1945 cooperation had become an impossibility because the Roosevelt administration badly misread Jiang Jieshi’s ability to unite the country and clung to unfounded suspicions that the CCP would serve as an obedient Soviet proxy in East Asia. The emergence and incremental intransigence of global environmental degradation and climate change discourses into social sciences have, in recent years, provided a fecund ground for debate and analyses of wide ranging geopolitical ramifications the predicted climatic variations would present for national security and human well-being. It is commonly held that climate-induced crises, in the next two to three decades, will exacerbate already fragile relations between Sub-Saharan African, the Middle Eastern, and South and Southeast Asian states, destabilize regions, topple governments and issue in mass migrations, widespread pandemics, and food scarcity. The following study aims to closely investigate the security implications resulting from global climate change and explore the geopolitical dimension of the relationship between environmental degradation and armed conflict. In attempting to better understand the impacts the destabilizing climatic patterns may have on human and national security, the appraisal of available policy and strategic responses by governments, the military, and non-governmental actors, will be given due consideration. The use of drones has increased exponentially under the Obama administration and now forms an integral part of the US government’s counterterrorism policy. However, the President’s extensive use of drones has been controversial and generated extensive debate and discussion in the US and abroad. This paper examines the factors that have propelled the Obama administration to use this strategy and its implications for American and international law as well as American foreign policy. The intelligence community’s best resource is the people they are protecting. The lessons learned between from events like the September 11 World Trade Center attack to the 2013 Boston Marathon bombing are that the crowd is wise and creative enough to use the technology and intelligence available to help prevent and recover from manmade and natural crises. Slowing the flow of intelligence to the crowd endangers the lives and freedom of the people which then creates motivation for whistleblowers and leakers to acquire and distribute intelligence themselves. By declassifying most intelligences as a default, and swiftly declassifying old intelligence, the Intelligence Community can maintain critical secrets and preserve privacy while enabling the crowd to analyze and contribute to the body of intelligence to advance international security. Environmental management and practical policy strategies relating to it have always been an important part of North Korea’s approach to what would be locally described as “revolutionary” industrial/economic development. However, since the collapse of the wider Soviet Bloc, and the famine period of the mid 1990s, it has been possible to determine a change in policies relating to the management of the natural world in North Korea. Pyongyang’s government and institutions have begun to respond to developing themes within the theory and policy of governments, strategists and theoreticians from the wider world inspired by concepts of “conservation” and “preservation,” derived from environmental or “green” movements. North Korea has sought to incorporate such governmental or strategic themes within its ideology—in ways that do not destabilize its own philosophical or governmental frameworks, but instead serve to strengthen them. Accordingly, projects within North Korea, whose focus is environmental management, have begun to resemble those of the wider world and in the closer East Asian neighborhood, but to what end: environmental rehabilitation or regime survival? 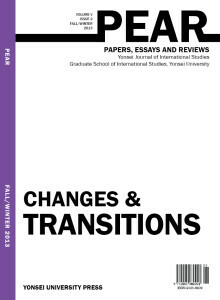 This paper builds on previous research identifying historical narratives relating to environmental management within North Korea and the routes through which its institutions translate ideological or philosophical development into practical policy; it investigates the routes through which North Korea incorporates foreign or external ideas within its own theoretical construct—how these ideas and projects spurred by them are utilised for domestic and international propaganda needs. It seeks to evaluate if the sincerity or otherwise of such an incorporation can be established and ultimately whether this would prove useful in the development of analysis focused on construction or translation of theoretical development or institutional functionality within North Korea. Why has the Diaoyu/Senkaku Dispute been Intensified and What are the Possible Resolutions? Title: Why has the Diaoyu/Senkaku Dispute been Intensified and What are the Possible Resolutions? The Diaoyu/Senkaku dispute is a territorial conflict between China and Japan, and there have been ups and downs over several decades. As China’s assertiveness has been increased from the late 2000s, much attention has been paid to the relationship between China and Japan. The issue is related with each state’s strategic, economic and symbolic interests, which makes the nature of the dispute complex. In this paper, it is argued that the growing tension between China and Japan is largely influenced by the changing international structure due to the rise of China, and the issue is reinforced by domestic politics as the politicians could utilize the issue as a political tool to gain public support based upon strong nationalism in China and Japan. There are three options available to resolve the conflict: military confrontation, the US intervention, and the international legal institution. These options will be critiqued with a meaningful analysis, and the paper suggests that a long-term resolution should be adopted by emphasizing the importance of public education and cooperative measures to develop the area for both states’ benefits after recovering mutual trust. The field of international development cooperation has been heavily influenced by “emerging donors”, countries which have seen significant development and which have begun to form their own international development programs. Countries like South Korea are capitalizing on their own development history to engage developing countries to learn from successful past policy experiences. However South Korea’s burgeoning knowledge sharing programs present an important set of pitfalls; the state’s quasi-monopoly over how the country’s past development is interpreted, along with the narrow conception of the development experiences to be shared both limit the effectiveness of exporting such policies. Korea can capitalize on the wealth of lessons from its past development on the international stage if it presents a convincing heterodox paradigm for development while opening up interpretations of the past to wider societal debate, and if it shifts to an understanding of its own development history which transcends sole economic interpretations. 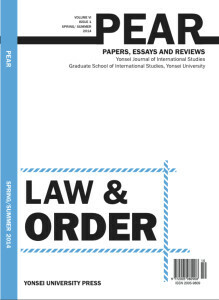 This paper looks at the Donga Ilbo Advertising Coercion and Forced Layoff Case in South Korea during the years 1974-1975, focusing on the confluence of three institutions: the press, the state, and commercial forces. A look into history finds that the state, dissatisfied with the Donga Ilbo’s reporting, leveraged market forces to force it into compliance with its view of proper reporting. This represented a watershed moment in the history of press-state relations in South Korea. The highly contentious state-press relationship, observed at the time of the layoff, can still be seen today. To explore the relationship between the press, the state, and commercial forces, this paper does the following: First, theories of media are introduced to provide a basis for analysis. Second, a brief history of the Korean press leading up the Donga Ilbo case is covered followed by a detailed overview of the layoff case itself. Lastly, the paper concludes by commenting on the implications of a contentious state-press relationship and current government-media relations in South Korea.